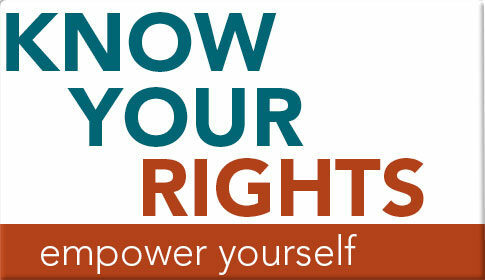 Get Informed: Every migraine patient needs to know their rights - to access the right treatment at the right time. Learn what you can do if you've been denied access to the right migraine treatment. Today, 37 million patients suffer from debilitating migraine headaches, with about 5 million patients who get at least one migraine a month. 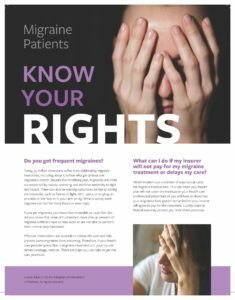 Every migraine patient needs to know their rights to access the care they need and deserve. Besides the throbbing pain, migraines are often accompanied by nausea, vomiting, and extreme sensitivity to light and sound. There can also be warning symptoms before or during the headache, such as flashes of light, blind spots, or tingling on one side of the face or in your arm or leg. What is worse, each migraine can last for many hours or even days. If you get migraines, you know how miserable you can feel. But did you know that when left untreated, more than 91 percent of migraine sufferers have to miss work or are not able to perform their normal daily functions? Effective medications are available to relieve the pain and help prevent some migraines from occurring. Therefore, if your health care provider prescribed a migraine treatment and your insurer denies coverage, read on. With the help of the Aimed Alliance, we’ve identified steps every migraine patient can take to get the care you need — when you need it. Question: My health insurance company is delaying or denying my migraine treatment. What can I do? Health insurers use a number of ways to cut costs for migraine medications. This can mean your health plan will not cover the medication your health care professional prescribed or you will have to show that your migraines have gotten worse before your insurer will agree to pay for the treatment. Luckily, state or federal laws may protect you from these practices. 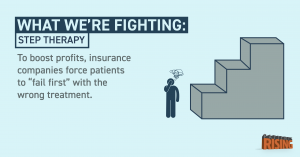 Step Therapy: Did your health insurance company make you try a different treatment before covering the migraine medication prescribed by your health care professional? Step therapy policies require migraine patients to try other treatments first and show they do not work. That’s why patients describe this insurance practice as “fail first.” Your insurer may require you to try and fail on a lower-cost medication before covering the one prescribed by your health care professional, even if your migraines are very severe or last for many hours or days and keep you incapacitated, before covering the one prescribed by your health care professional. Step therapy policies may violate certain federal and state laws if your insurer treats you and others with migraines differently because of your health condition. Non-Medical Switching: Is your insurer forcing you to take a different medication, even though your current migraine medication works well? 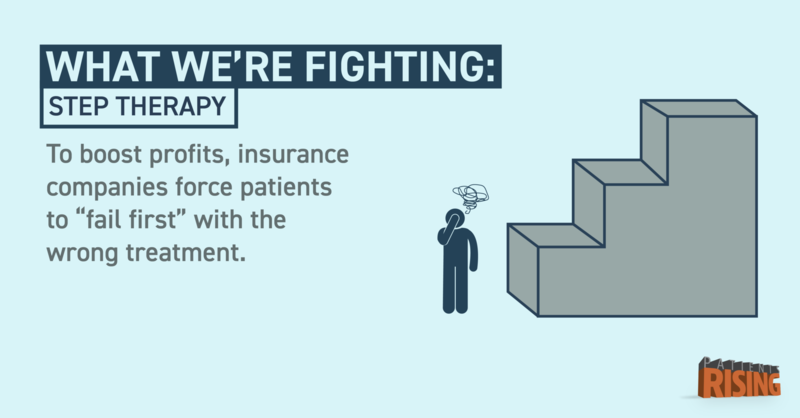 Has your insurance refused to cover treatment, or are they increasing your co-pay? Non-medical switching occurs when your insurance company forces you to switch from your current migraine medication to a different (but not a generic equivalent) medication by either refusing to cover your drug any longer or increasing the out-of-pocket cost of your drug. For example, if you are on a preventive treatment, your insurer may force you to switch to an “acute” medication, which is used to stop a migraine after it has begun. The insurer might also force you to switch between different classes of preventative medication (such as from an anticonvulsant to a beta blocker). This could be especially troublesome if you have tried several medications over the years and finally found one that works for you. Non-medical switching can violate certain state consumer protection laws. Prior Authorization: Does your insurer require approval before they refill your migraine prescription? 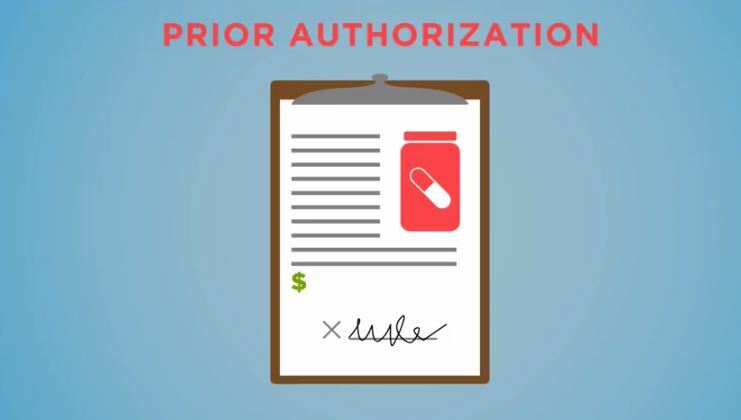 Prior authorization happens when your insurer requires you or your health care professional to contact your insurer and get approval before the treatment is covered. 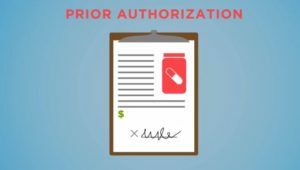 Prior authorization policies can delay or interrupt care, waste time, and complicate medical decisions. For example, your insurer may require your health care professional to document that your migraines are accompanied by vomiting before your insurer will cover a nasal spray instead of a pill. Your health care professional may also have to show that you have had a certain number of migraines per month before your insurer will cover a preventative treatment. These policies can violate state and federal laws if applied in a certain manner. Quantity Limits: Has your health insurance limited the amount of migraine medication you can get at one time? Quantity limits are when an insurance company only approves a small quantity of migraine medications for short-term episodic treatment. These policies can create additional hassle, including more frequent and unnecessary visits to your health care professional or pharmacy. These policies may also violate state or federal law if applied in a discriminatory manner. Collect information. Collect the determination letter and all other documents the insurance company sent you. This includes your insurance policy and your insurer’s medical necessity criteria. “Medical necessity criteria” refers to your insurer’s policy for determining whether a treatment or service is necessary for your condition. Request documents. If you did not receive the determination letter or do not have your policy, the medical necessity criteria, or the instructions and forms for filing an appeal, call the insurer’s customer service representative and ask for these documents. The company website will list the toll-free telephone number to call. Call your health care professional’s office. The health care professional’s office or clinic has people on staff to help with the appeal process. They will tell you how to fill out the forms to request an appeal, write an appeal letter on your behalf, or handle the appeal request for you. Submit the appeal request. It is important for you or your health care professional’s office to submit the appeal request as soon as possible along with the letter from the health care professional and all additional information the insurer requested. Watch the Clock. Once you file an appeal request, expect to wait up to 30 days to hear back from the insurance company regarding a treatment you hope to receive. It can take up to 60 days for a response if you received the treatment and are waiting for reimbursement. Under law, every migraine patient is entitled to take their appeal to an independent third party for an “external review,” which means the insurance company no longer gets the final say over whether to approve a treatment or pay a claim. The situation applies if the insurer denies your appeal or if your medical situation is urgent and waiting would jeopardize your life or ability to function. To trigger an external review, file a written request with the independent organization within 60 days of the date your insurer sent you a final decision. The process should take no more than 60 days. However, in urgent situations requiring an expedited review, the process should take no longer than four business days. To find out whom to contact in your state to request an external review, please go to CoverageRights.org.